Today my friends, I would like to discuss today more about Fibromyalgia as I had promised, but this time we will talk about how to help the symptoms with some natural alternative therapies and remedies. Fibromyalgia can make your life much more difficult and unfortunately there is no cure but there are ways to help manage the pain and other symptoms. It effects every aspect of your life whether it be personal relationships, your job, your mental and physical health. Please give me a chance to help because I know from personal experience how much FM can affect your life. So set back, relax, and take deep breath while we discuss this. Fibromyalgia symptoms are different for each individual just as treatment is different for each individual. It is very important that you try to keep your life in balance and what I mean is that you do let one aspect of your life overshadow the others. Don’t let you job become so overwhelming to you that you cut off your friends and family. Pace yourself. Keep your activity on an even level. If you do too much on your good days, you may have more bad days. Moderation means not “overdoing it” on your good days, but also it means not self-limiting or doing “too little” on the days when symptoms flare. When you add mild, appropriate exercise to the warm water, you’ve found an excellent recipe for relieving the aches and tenderness that accompanies Fibromyalgia. By slowly stretching the neck, shoulders, upper back, and arms, you’ve begun to alleviate FM’s symptoms and then when performing exercises against the water’s resistance, you gain strength without risking injury. In deep water, there’s no impact during exercise, so walking and running are possible. This is one of the oldest methods of health care still in practice. It involves use of different manipulative techniques to move your body’s muscles and soft tissues. Massage can reduce your heart rate, relax your muscles, improve range of motion in your joints and increase production of your body’s natural painkillers. It often helps relieve stress and anxiety. Make sure you see a massage therapists that is familiar with fibromyalgia so that they know how to work on your muscle and that not too much pressure is used which could aggravate your symptoms. 3. Yoga and tai chi. These practices combine meditation, slow movements, deep breathing and relaxation. Both have been found to be helpful in controlling fibromynalgia symptoms. Practitioners use acupuncture to release energy . Acupuncture is a Chinese medical system based on restoring normal balance of life forces by inserting very fine needles through the skin to various depths. According to Western theories of acupuncture, the needles cause changes in blood flow and levels of neurotransmitters in the brain and spinal cord. Some studies indicate that acupuncture helps relieve fibromyalgia symptoms. Because fibromyalgia causes numerous tender points all over the body, many fibromyalgia patients suffer from back pain, neck pain, and leg cramps. Chiropractic simple adjustments to the neck and spine can restore the carriage of the whole body, a lot of fibromyalgia sufferers find that alignments of the spine can significantly reduce pain all over their bodies. Practitioners believe the root of fibromyalgia is a disturbance in nerves that blocks energy. The disturbance, says Devi S. Nambudripad, MD, PhD, and a licensed acupuncturist, is caused by sensitivities to substances ranging from pollen to vaccines to chemical agents in fabrics. Anxiety and depression may also play a part. and allergy testing to identify problem substances. According to Robert Bennett, M.D., is a Professor of Medicine at Oregon Health and Science University. He is a leading fibromyalgia researcher and has served on the editorial board of the Journal of Musculoskeletal Pain among other publications. Fibromyalgia is a system-wide breakdown, says Jacob Teitelbaum, MD, medical director of the nationwide Fibromyalgia & Fatigue Centers. After suffering from the disease in the 1970s, he developed his own protocol; in studies, patients improved by as much as 91 percent. He recommends supplements to help sufferers sleep, balance hormones, boost immunity, and improve nutrition. He also prescribes regular exercise. Lots of vegetables, fruits, whole grains, lean meats and dairy will help energize you, lower weight and improve all over health. Avoid food additives, synthetic dyes, aspartame, MSG, and nitrates or any food preservatives. Pain, stress, and anxiety can rob you of sleep and cause fatigue. Make you bedroom as comfortable as possible, don’t use electronic equipment at least 1 hour before retiring, organic bedding can be helpful so you avoid any kind of environmental pollutants and toxicity. It’s also helpful to know that you’re not alone. Organizations such as the National Fibromyalgia Association(click here) and the American Chronic Pain Association can help put you in touch with others who have had similar experiences and can understand what you’re going through. I hope this information has been helpful and I will continue with more information about supplements and natural remedies that can help balance your body and reduce FM symptoms. Please always try to eat organic or local harvest foods. 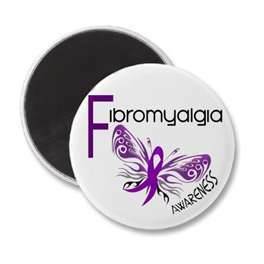 A dear friend of mine is suffering from fibromyalgia. I am sending this informative post to her. Thank you Deborah. I hope my suggestions help her. I personally know how much pain and discomfort fibromyalgia can cause.